This entry was posted in It's Monday What are you reading? and tagged Bryan Collier, Chieri Uegaki, Daniel Beaty, Edward Lear, Elin Kelsey, Elizabeth Bluemle, favourite illustrators, fiction, G. Brian Karas, Inga Moore, Jennifer K. Mann, Julie Morstad, Kevin Sherry, Kyo Maclear, Lois Lowry, middle grade novels, Monday reads, picture books, poetry, Qin Leng, Robin Herrara, Soyeon Kim, Stéphane Jorisch, young adult selections by carriegelson. Bookmark the permalink. Last year I moved from elementary to middle school. It is such a joy to open your page and see so many picture books! 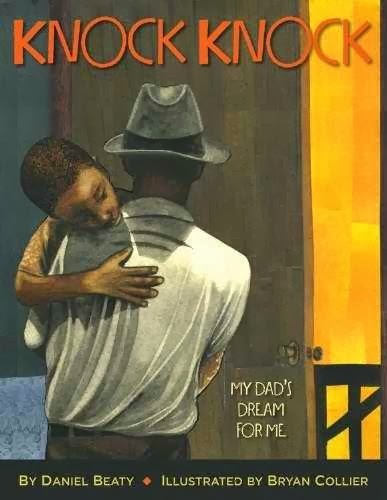 Thankfully my middle schoolers love to hear a good picture book and you have several I plan to check out 🙂 I did love Knock Knock and plan to use it as a mentor text. 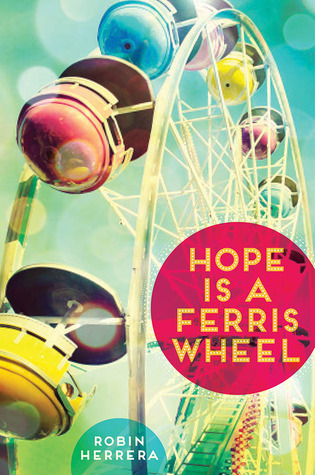 Also, glad to hear about Hope is a Ferris Wheel…the book is not in my pile yet but now it will be. Thanks for sharing! 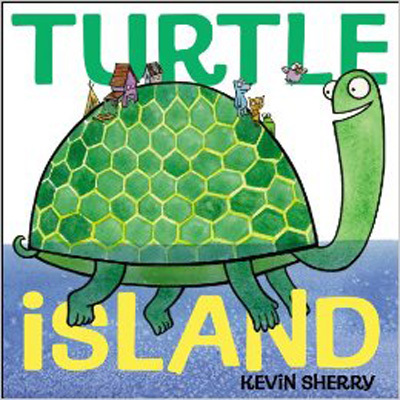 I am so pleased that you see some picture books that look interesting. Agreed – Knock, Knock is incredible! I couldn’t write much about it. It just made me teary. What a book! 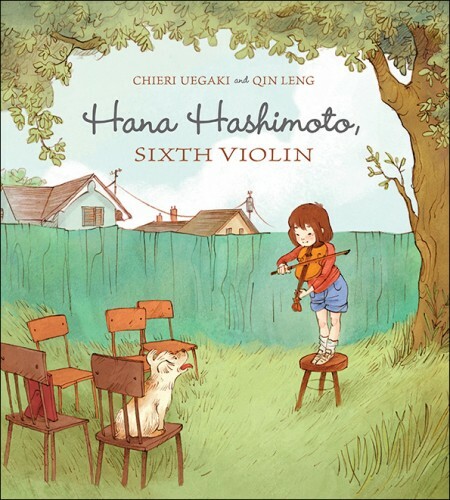 ‘Found money’ is for Coffee, but since you spent it on a book by the author of Suki’s Kimono it’s all ok.
Hana Hashimoto, Sixth Violin is just an incredible little story! I absolutely adore it is so many ways! Which I guess is kind of obvious with all of my gushing! When I come to your Monday posts, I always open an Amazon tab too. After I finish commenting, I call our Indie bookstore and see which books they have, then I complete my Amazon order to make up the gap. I’m thinking of charging you. My 7 year old daughter plays the violin (as did I), so I am getting Sixth Violin for sure. I’m thinking Two Speckled Eggs would be great for starting the year in 2nd grade. I absolutely LOVED The Giver series. I liked the 2nd one least, but felt it was necessary to fill out the four books. Send me an email about what you didn’t like about Son. I’m interested to find out! Good luck collecting! We are still on strike and have no idea when we are heading back to work – sigh! So my bank account is vulnerable. I could pay in more book recommendations. Hold on, that doesn’t work, does it? Seriously though, not my fault that so many books just need to be owned! And Hana Hashimoto is a must own! Certainly will find Hana Hashimoto, Carrie, along with a few others, like The Owl and The Pussycat! I have Hope Is A Ferris Wheel, so will try to get to it soon. 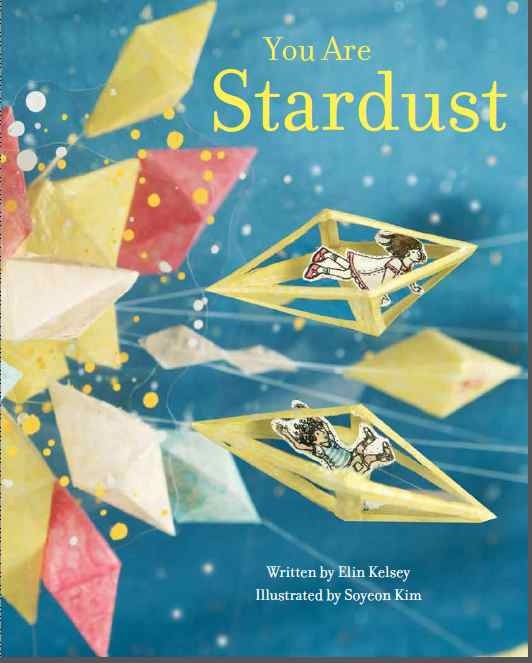 I loved You Are Stardust and Knock, Knock was a poignant story, you’re so right. Happy to hear about your ‘found’ money-what a treat! FYI-still following your local news-sorry no agreement yet! Hugs to you! Thanks Linda! I have missed you! Hope you had a wonderful holiday. Yes, still no sign of anything settling. Trying to keep my mind off of it. Sigh. But, reading helps! Hana Hashimoto is truly a treasure. I am so pleased that I found it. And Knock, Knock. Wow. I MUST read Julia, Child! Alas, my library doesn’t have it yet. Isn’t Knock Knock AMAZING? 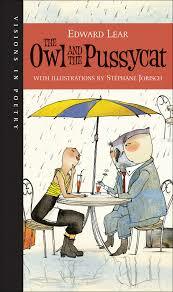 Have you watched the original spoken word poem that inspired the picture book? I cry every.single. time. I watch it. I cried too. Julia, Child is wonderfully quirky. I think you will adore it. Hi Carrie, great books as usual. I am very intrigued by Knock Knock and a Hope is a Ferris Wheel. Nice selection of picture books! Thanks Gigi. Maybe your daughter will also like Hope is a Ferris Wheel! Mine can’t stop talking about it. Knock, Knock is a must read. Yesterday my daughters (ages 3 and 5) attended a mostly girl birthday party that came with cake, a big bouncer and of course lots of friend-drama–I can’t wait to get Two Speckled Eggs and read it with my girls. 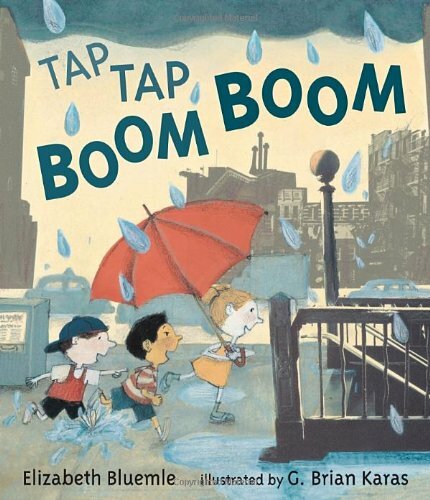 If you haven’t read The Rain Stomper (Addie Boswell and Eric Velasquez) I bet you would love it. Thanks for such great recommendations! Oh yes, the friend drama. Sigh. Another author who nails early social drama is Lana Button who wrote Willow Finds a Way and Willow Whispers. Do you know these? Will be perfect to have on hand as your girls get older. I have heard about The Rain Stomper but haven’t read it yet. Need to find it! Doesn’t it seem like holds always arrive at once?? Especially the longer books! So many good books mentioned this week. I’m glad you did a write up of Julia, Child because that was not the book I was thinking it was going to be! They do always arrive at once! A little extra motivation. 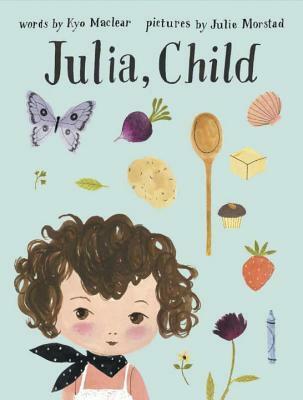 Julia, Child is a fun surprise! Lots of great choices – I’ve put in library requests for several! 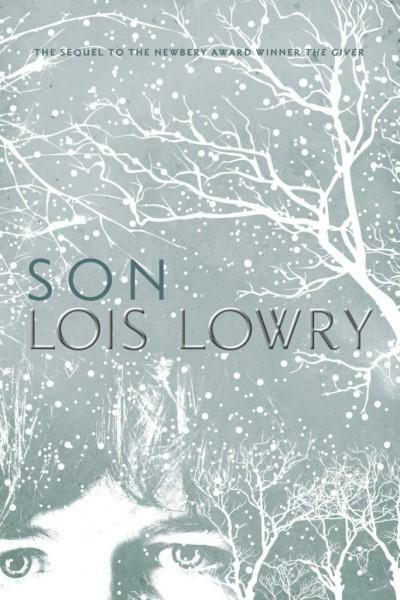 I am with you on tepid reactions to “Son” as well as the other two Giver sequels. The Giver is still my all time favorite book, and I read it long before there were sequels, which made me feel quite betrayed as a reader when they finally came out. Ah well. The Giver is my favourite too. Want to take my daughter to see the movie. She also loves the book! Glad you found some titles of interest. Happy reading! Requested Knock Knock from my library. Guess I’ll need some tissues! Knock, Knock is just beautiful. But the vulnerability did make me emotional and as a Mom of a little guy, I am sure you will need tissues! I always say books are best and movies come sometimes a very far away second but . . . I am going to take my daughter to this one. Loved Knock Knock. Haven’t read it to my son yet but will at some point. I always use found money for coffee too! Love going to the coffee shop to sit and write–such an indulgence. But of course I entirely approve of your using found money for books! I am unfamiliar with that author, so must do some searching (and probably interlibrary loaning). Much as I loved The Giver, I’ve never read any of the companion books. I might read Winger this week too–I’m in Chicago for a conference (spent my afternoon browsing in bookstores and soaking up the city–I love where I live, but it’s lovely to be in a city sometimes!) and only brought my Kindle, which has mostly professional development books on it along with a couple of YA novels, Winger being one. So of necessity, I may read it! How about coffee with a book? Chieri Uegaki is a BC writer – we adore her books in my house! Enjoy your conference. City visits are always fun – even though I live in a city, I love having time in other places. I am loving Winger – what a character this kid is! I read Julia, Child recently too. I am not sure many readers, fifth-grade at least, would appreciate all that this book has to offer. I loved it, though! I think after it was read aloud, it would go on to find a lot of love and giggles! Am loving Winger! Wow. Knock, Knock is so beautifully emotional. I think you will love it. 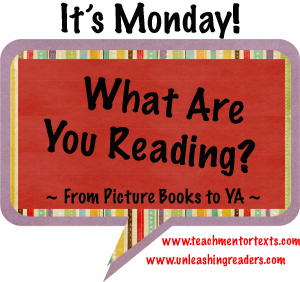 Hi Carrie, I noticed on the #TitleTalk archives from Sunday you mentioned Camp Reading. I’m intrigued and wondered what it is…sounds like something I’d like to do too the first week or so of school. Thanks! I always love your book recommendations. I appreciate the time you take to post them all. Thanks so much Deb! Camp Read is something a lot of us do here in Vancouver schools it seems – sometimes school wide and sometimes on a class by class basis. Can be very organized or very casual. Basically what it involves is taking a whole day or part of a day to focus on everything reading – read alouds, buddy reading time, individual reading time. We sometimes have kids come in PJs and set up cozy reading spaces, even tents inside the classroom! We have extra long sessions with our buddies, go outside and listen to our read aloud under the trees, long sessions of the day dedicated to fee choice reading, etc. When it is a little more official, we have had guest readers come in – local firefighters, police officers, athletes, community members, etc. Sometimes it is also tied to an author visit or a walk to the local public library. The purpose is basically a huge amount of book love squeezed into a day! And lots and lots of reading! Carrie, thanks for the reply! That’s so funny… in my school we call it a Read-In, but I like the Camp Read term better. But we basically do the same thing…lots of reading with buddies, on our own, wear pjs, blankets/pillows all over the floor, etc. Thanks much! 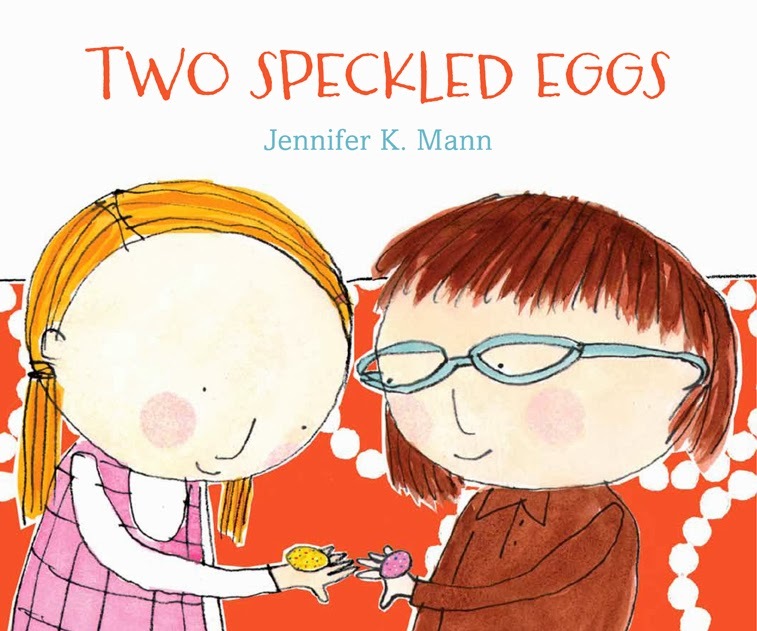 Thank you, Carrie, for your very sweet mention of Two Speckled Eggs! I can’t wait to have a look at the others that I have not yet seen. 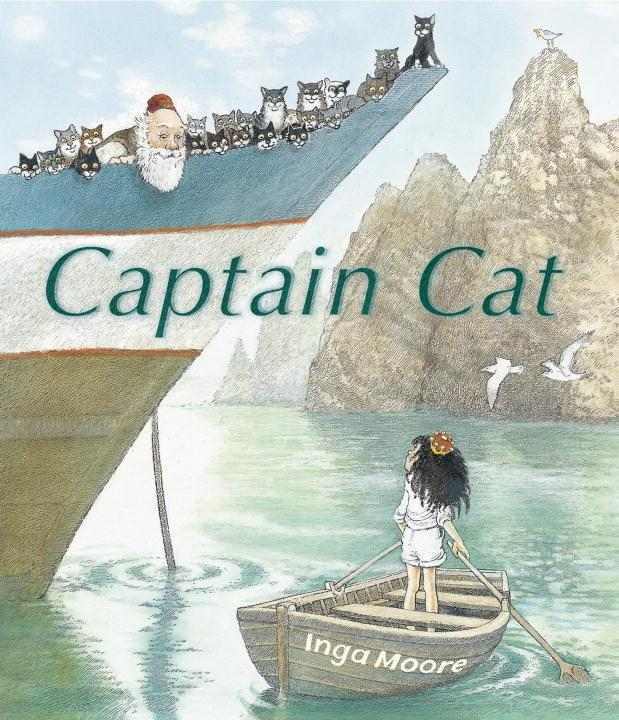 I do so love Tap Tap Boom, and just yesterday was ogling Captain Cat at my local bookstore. I think your book is just lovely Jennifer! It will be a very popular read for parents of little ones trying to navigate the friendship dynamics that can be so complicated.